In today’s fast-paced production facilities, machines move quickly, workers are busier than ever and space is at an absolute premium. That’s why Canon recently connected with Dorner. Canon Virginia, Inc., Newport News, Va., is the American manufacturing facility for Canon – well known around the globe for its copiers, printers and cameras. However, the company is also a world-class contract manufacturer that provides a complete range of individual or turnkey solutions to a wide variety of businesses. For this specific application, Canon Virginia utilizes a pick-and-place robot to deliver parts from a plastic injection mold to an operator who inspects each part before the next phase of production. 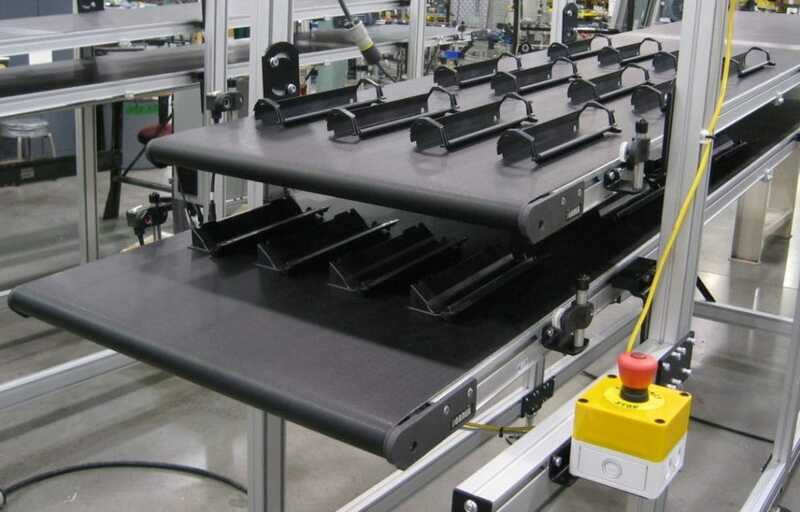 To allow the operator to keep pace with the robot while making the best use of available floor space, Dorner developed a unique two-tier conveyor system that utilizes the company’s fast and flexible 2200 Series conveyor with photo eyes. 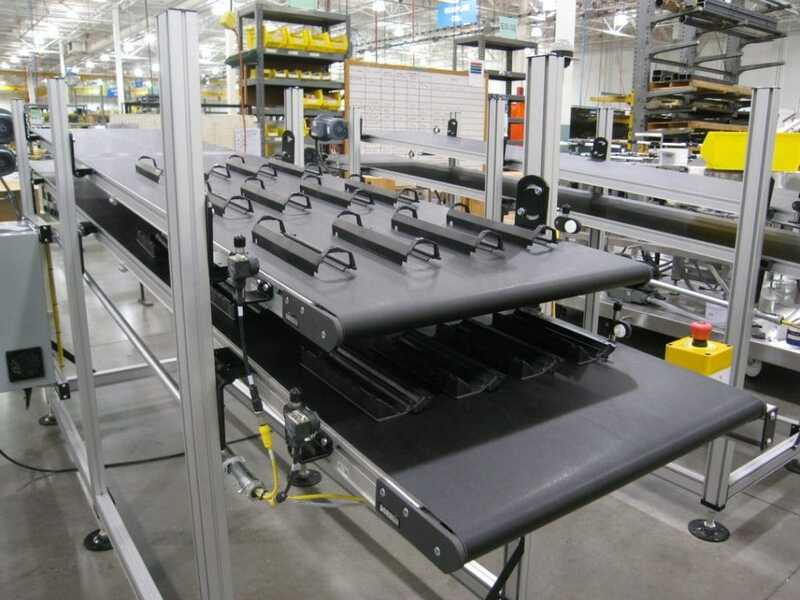 To meet Canon’s specific needs, Dorner stacked two of its 2200 Series conveyors slightly offset in a single frame with about one foot of distance between the conveyors. As the pick-and-place robot removes parts from the mold, they’re set onto the lower conveyor. Then, after receiving an all-clear signal from the robot, the conveyor indexes to create space for the next group of parts. The robot continues to deliver parts to the lower conveyor until an indicator light tells the operator to start the unload process and signals the robot to start filling the upper conveyor. After each group of parts is removed by the operator, the conveyor indexes again to present the next group for inspection. Once the last parts are removed by the operator, the conveyor runs for a set time to ensure the conveyor is truly empty. The robot is then signaled by photo eyes to restart the loading process and the cycle continues uninterrupted as long as the robot has parts available and the operator continues to remove them from the conveyor. Click here to download a PDF case study of this application. *Since the time when this article and video were created, Canon has implemented a similar solution with several three-tiered conveyor systems.